One major threat facing homeowners today is damage caused by water intrusion from heavy rain, lawn irrigation, or soil erosion. In order to protect your home from such issues as efflorescence (the powdery crystallization of water upon exposure to the air), flooding, and mold growth, we offer various drainage solutions to help keep water from ruining your residence. In the wet seasons, the presence of water can present a myriad of issues for homeowners. Basements and crawlspaces as well as the entirety of a home can potentially be flooded without proper drainage and protection. 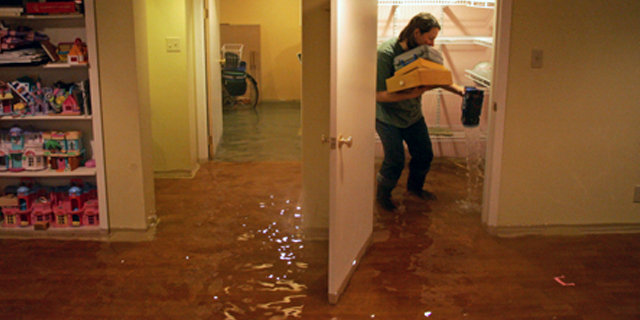 It is important to take the steps necessary to prevent your home from falling victim to costly water damage that could threaten its very foundation. Heavy rains can affect your home and lead to problems from the ground up. An unfortunately common example of this is, when water saturates the soil around and inside the ground underneath a home, the load being bared can sink and lead to cracks in a home’s foundation. Essentially, the biggest enemy to a concrete foundation is water, which may lead to further cracking and near irreparable damage. Mold is also another factor to consider when planning to prevent water damage. Where there is moisture, mold can grow. In a house that has been flooded, there is a great deal of moisture, creating a breeding ground for mold. This can affect the health and well-being of an entire household. It is especially important to secure your home now before it is too late. It is much more cost-effective to take preventative measures to counteract potential flooding in order to avoid paying the high price to restore a home from water damage. Among our vast variety of specialties, we offer services for hillside drainage, yard drainage, basement drainage, channel drains, French drains, trench drains, sumpumps, Flo-Well leaching systems, and CleanSpace. If you think that your home may require drainage services, call now for an estimate! Rainfall is the periodic catalyst that sets yard drainage problems and can severely flood yards. Water that pools in the yard of your home due to rainfall, among other reasons, is water that misbehaves. Water will damage the home in ways that may or may not be obvious to the homeowner. This gives properties built on a hillside, the stability to avoid damage caused from the slope. Hillside homes throughout Los Angeles County are a valuable possession for many who live in Southern California. Beautiful designs and attractive scenery make hillside properties highly desirable. However, there are inherent concerns of living in these kinds of homes. The main fear being the threat of water. From the Santa Monica Mountains, to the San Gabriel Mountains, intersecting in between with the mountain ranges of Hollywood Hills and Beverly Hills, passing along to Newhall and the Santa Susana Mountains, it happens often that rainfall will damage the homes across these areas, and flood into the valley, enclosed by all these mountain ranges. The cities right along the base of hills are the ones most in danger such as in Encino, CA. The French drain design prevents water from sitting in any place adjacent to your home. Using French drains around your property is a common and practical way to help you protect your home from water intrusion problems. French drain system are designed to keep water flowing using gravity. Mold can grow almost anywhere there is water damage, high humidity, or dampness. Mold variations can include mildew, fungi, bacteria, and dust mites. Mold spores can cause allergies, airway infections, asthma, and other breathing and health problems, particularly in children. 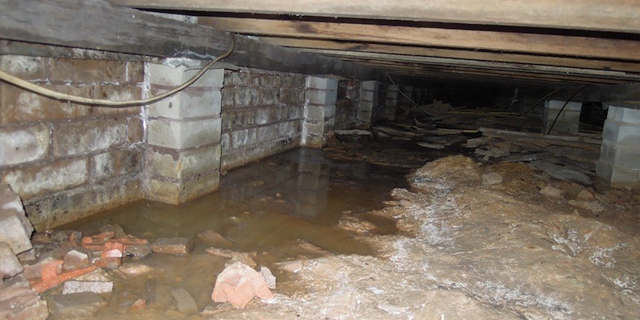 Crawl Space & Basement Drainage is a great solution to prevent mold, damp areas, and derivative health problems and protecting the home’s foundation. Most homes here throughout Los Angeles exist on flat property and often times see water pool in the backyard. The backyard is usually set at a point lower than the front yard, so water will find its way there. A Storm Water Leaching System will stop water from pooling in one place and carry it out to street.